It couldn’t be easier to make this super simple Shamrock Dip. 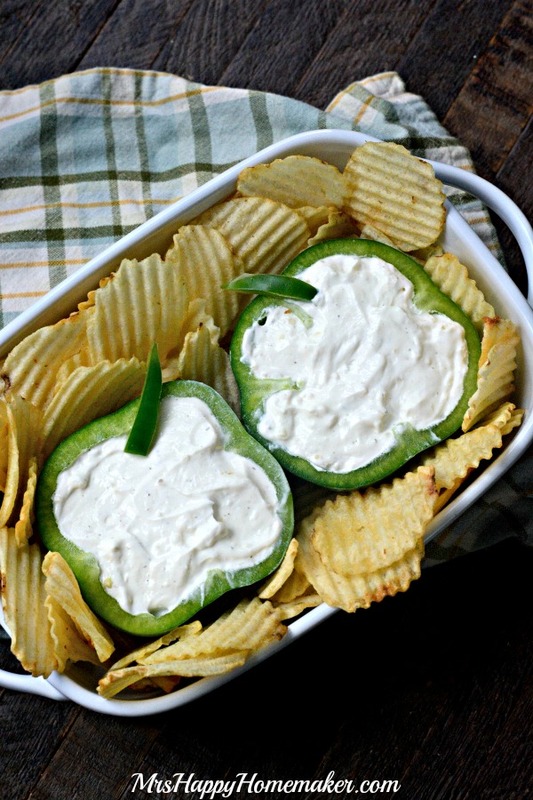 It’s the perfect Saint Patrick’s Day appetizer/snack & you can bust it out in no time at all. You don’t even need a recipe! 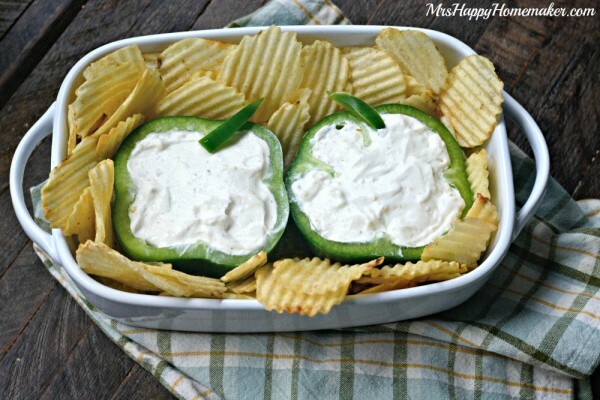 Just your favorite pre-made dip & a bell pepper or two. Choose bell peppers that have 4 prominent corners for the best shamrock shape. Just slice off the top (the stem end), scoop out the seeds with a spoon, & fill with your favorite dip. To keep it as easy as can be, I went with a store-bought french onion dip from the refrigerated section. 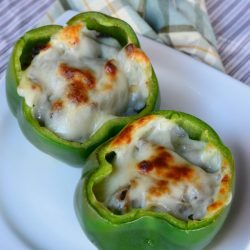 Add a little slice of bell pepper to the top for a ‘stem’. Serve with veggies, chips, or whatever else you’d like to dip in it.